Making their mark: This is one in a series of profiles celebrating members of Rochester’s graduating class of 2018. Cherish Blackman ’18 has long had an interest in—and knack for—foreign languages. In sixth grade, she started teaching herself Japanese using online resources. In middle school, she began studying Spanish. When it came time to apply to colleges, Blackman searched for schools that offered Asian languages as well as Russian. “I wanted to study languages that weren’t very close to English,” she recalls. Fortunately for Blackman, a Rochester native and self-described homebody, she didn’t have to look far. The University offers classes in 18 different languages, including three Asian languages (Chinese, Japanese, and Korean) and two Slavic languages (Russian and Polish). As a first-year student at Rochester, she started learning Mandarin Chinese and Russian while continuing with Spanish. In fact, Blackman initially intended to double major in Spanish and international relations but found herself more interested in language and history than in politics. “I knew that Russian and Chinese are critical-need foreign languages,” she says. (Critical languages are ones that the U.S. government considers vital to national security and prosperity). She reasoned that majoring in Russian will help her résumé stand out when she applies for graduate school or jobs. And since the University doesn’t yet offer a Chinese major, she opted for a second major in East Asian studies. Blackman believes being multilingual opens up new ways to express oneself while connecting with others. Case in point: she is coauthoring a research paper with Professor Ting Huang about the first eight chapters of Journey to the West, a 16th-century work that is one of the four great classical novels of Chinese literature. “Most of the available research is in Chinese,” she says, which gives Blackman and her professor an opportunity to provide new insights—in both Chinese and English—on the novel’s prologue. 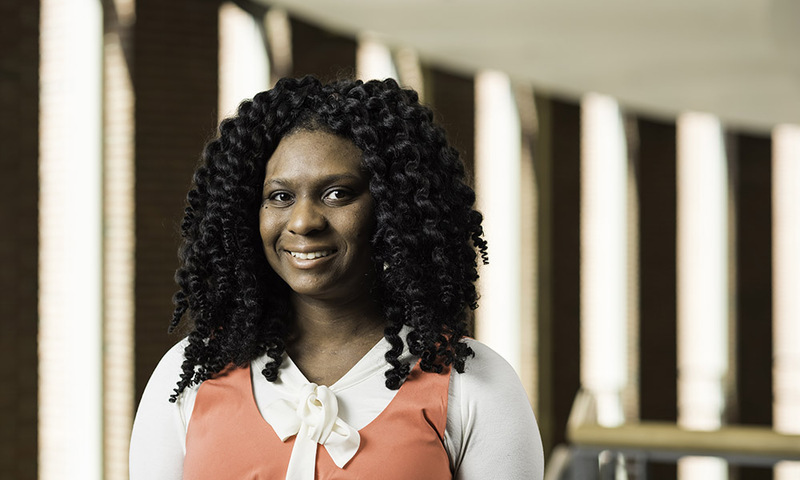 The research experience, which combines her love of languages with creative expression, has Blackman considering pursuing a doctoral degree in comparative literature. In the meantime, she is an ardent supporter of creativity and arts in her hometown. In 2017, she piloted a weekly summer art and creative writing program at Aenon Baptist Church in Rochester. She intends to hold the program again this summer before heading to China in the fall for a year. The exact details of her upcoming year in China on a Chinese Government Scholarship, are still in flux. Ideally, though, she hopes to be placed at Harbin Institute of Technology in the northeastern region of China, bordering Russia. That proximity makes it one of the best universities in China for learning Russian.